What’s On Top Of York Hill? Meanwhile, as I drove to the top of their beautiful hill I found what I thought was a wind sculpture. That’s only part of the story. I took a little time to go to Quinnipiac University’s new York Hill Campus for some ‘broad sky’ time lapse tonight. I’m processing my shots, but I think it was a bust. Bad choices on my part. From Quinnipiac University: The 250-acre York Hill Campus will feature two major initiatives that use renewable energy sources to produce electricity and make the campus more sustainable. 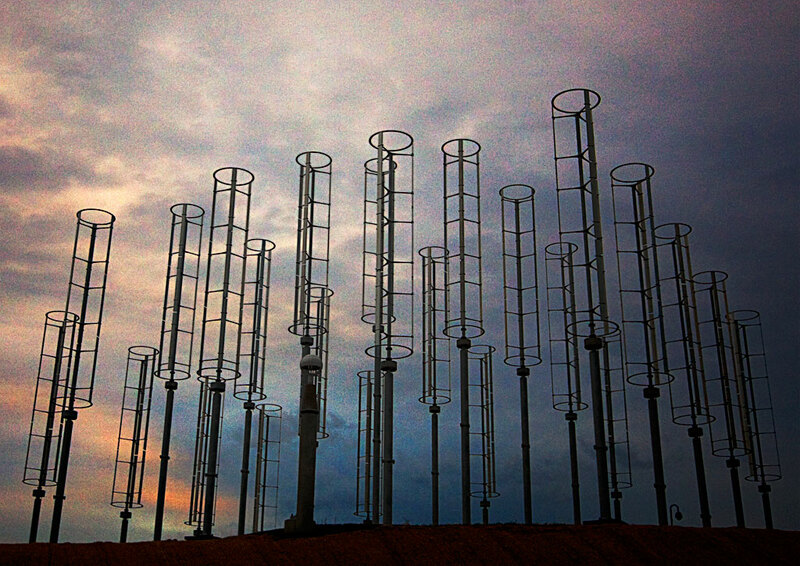 A wind garden composed of 42 vertical-axis wind turbines will generate about 84,000 kilowatt hours per year. These wind turbines, each approximately 40 feet high, will be built into a garden area complete with stone benches that will provide an area for student gathering and reflection.